I’m really weird about pancakes. As far as I’m concerned, they’ve never been as good as the box mix version my mom always made on weekends when my brother and I were kids. Diner pancakes always seem too spongy and greasy, and my own attempts at pancake making in college resulted in super dense, burned-on-the-outside-raw-on-the-inside disappointments. So I haven’t actually tried to make pancakes since college, and I graduated 10 years ago. I’ve learned a lot about cooking since then, but pancakes have remained on my Things to Fear in the Kitchen list anyway (along with things like rice and pies, both of which I’ve now conquered). 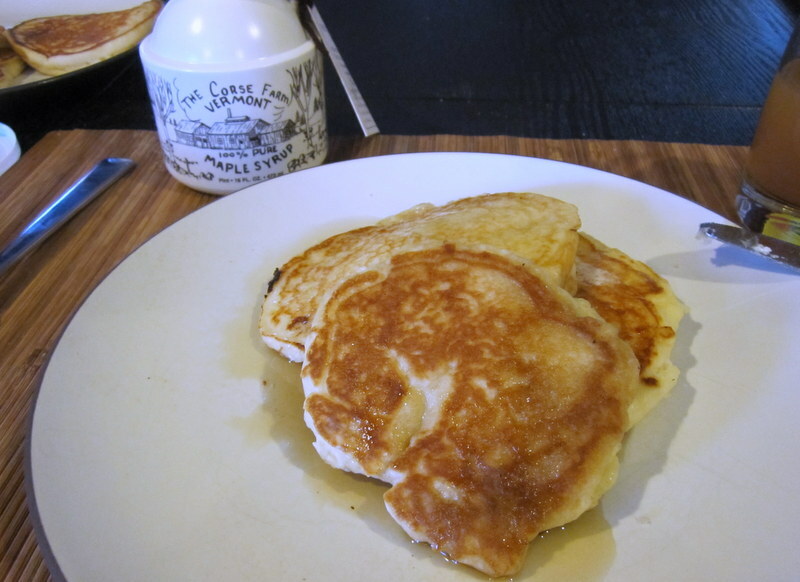 Adam has been dropping hints about how much he’d love to see pancakes in the recipe rotation for years, but it wasn’t until Laura Ann gave me some real Vermont maple syrup a few weeks ago that I decided to give it a try. I went with Alton Brown’s recipe for “instant” pancake mix, which makes a bulk quantity of the dry ingredients that you can then scoop out whenever you want to make pancakes. I love this idea. 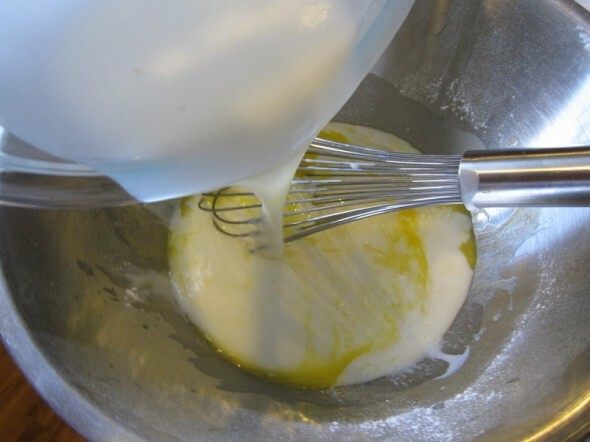 And I followed his directions as closely as I could, but I found that the actual pancake batter needed more buttermilk to get to the right consistency. So I’ve slightly tweaked the recipe to reflect the amount I used. 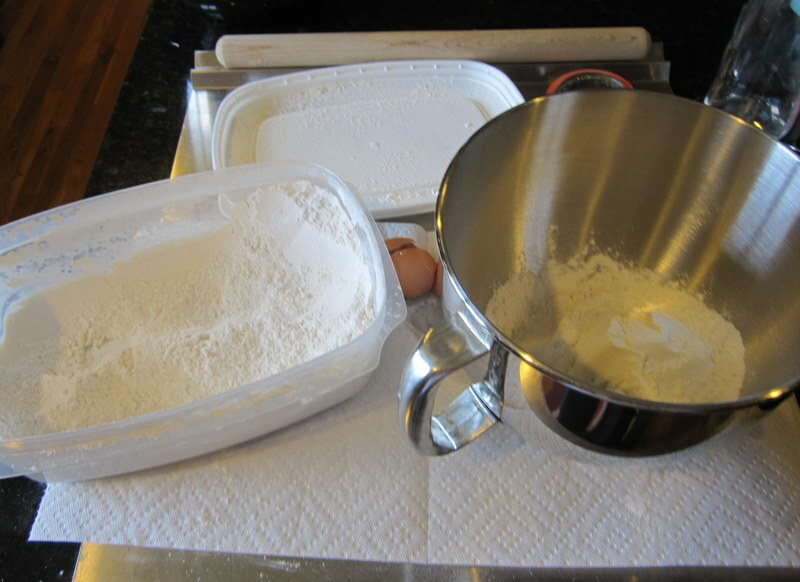 First is the mix recipe, followed by the actual pancake recipe. **The mix will make 3 batches of pancakes if you follow his recipe below. 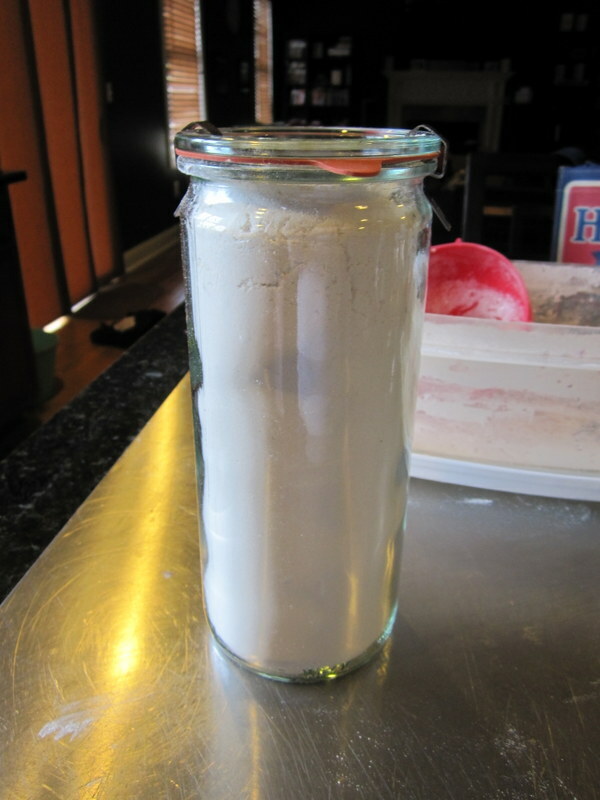 I scooped out the amount of mix I needed for this batch of pancakes and stored the rest in one of my Weck jars. 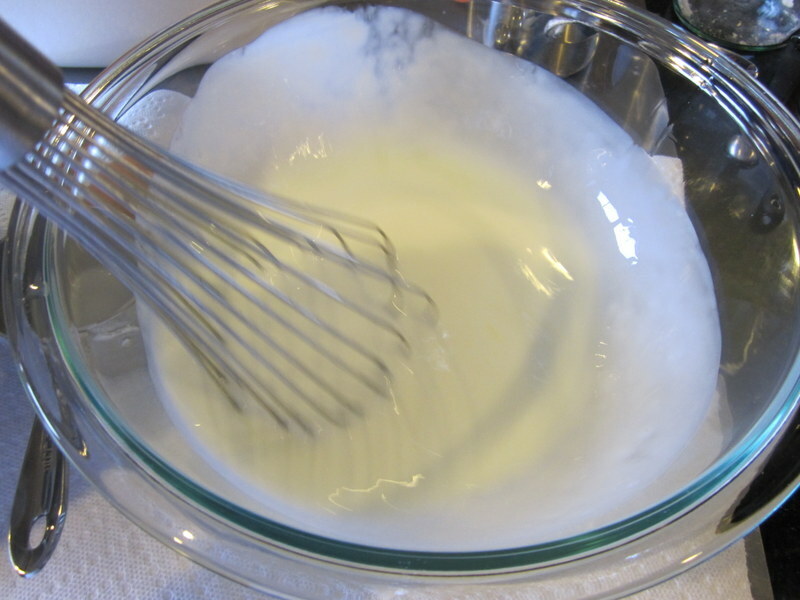 Whisk together the egg whites and the buttermilk in a small bowl. 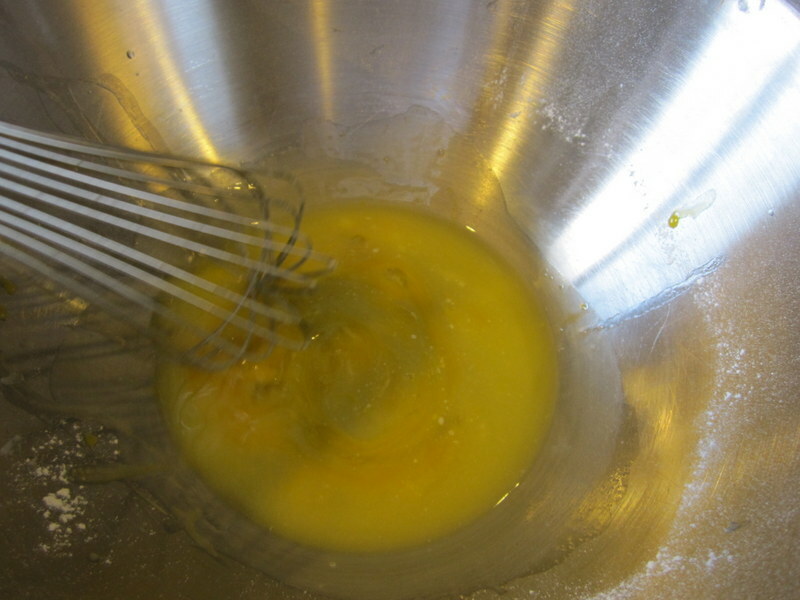 In another bowl, whisk the egg yolks with the melted butter. Pour the liquid ingredients on top of the pancake mix. Using a whisk, mix the batter just enough to bring it together. Don’t try to work all the lumps out. 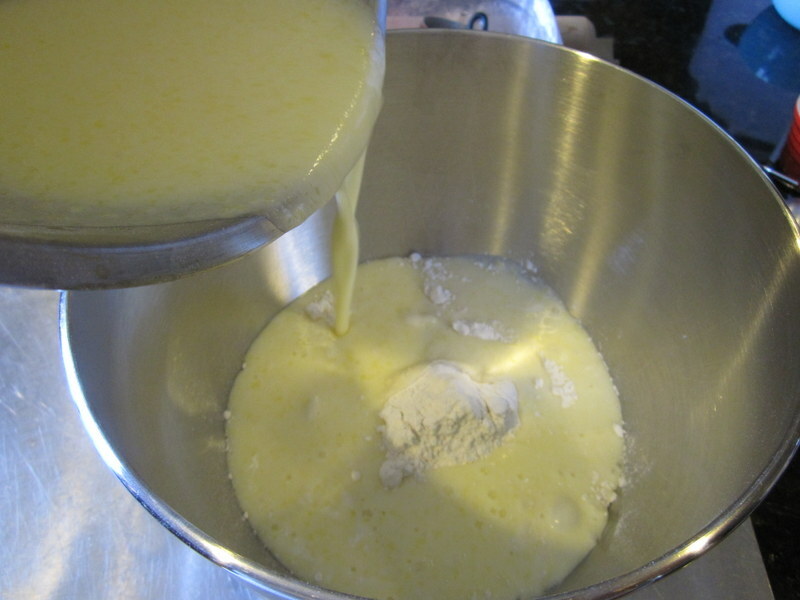 **Note: This is what my batter looked like before I added more buttermilk. It was super thick and difficult to ladle onto the griddle. Check to see that the griddle is hot by placing a few drops of water onto to the griddle. The griddle is ready if the water dances across the surface. Lightly butter the griddle. Wipe off thoroughly with a paper towel. (No butter should be visible). 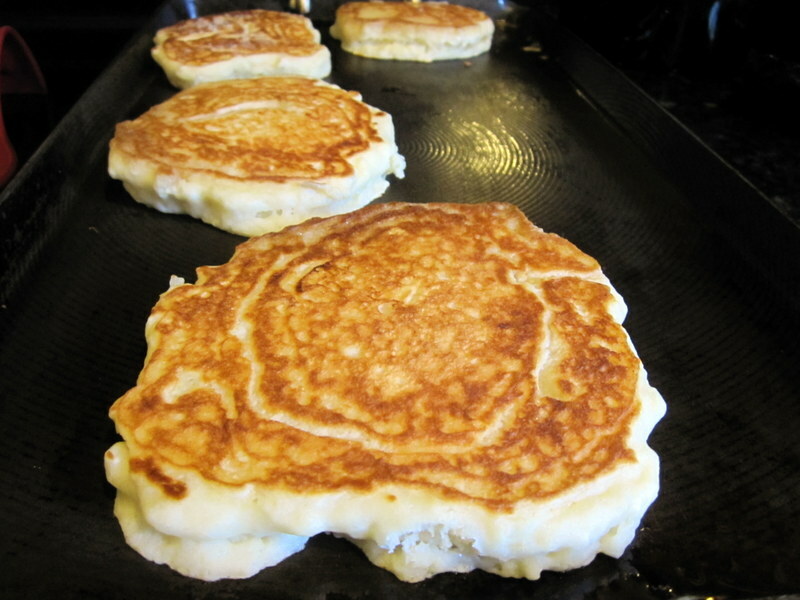 Gently ladle the pancake batter onto the griddle and sprinkle on fruit or chocolate chips if desired. When bubbles begin to set around the edges of the pancake and the griddle-side of the cake is golden, gently flip the pancakes. Continue to cook 2 to 3 minutes or until the pancake is set. 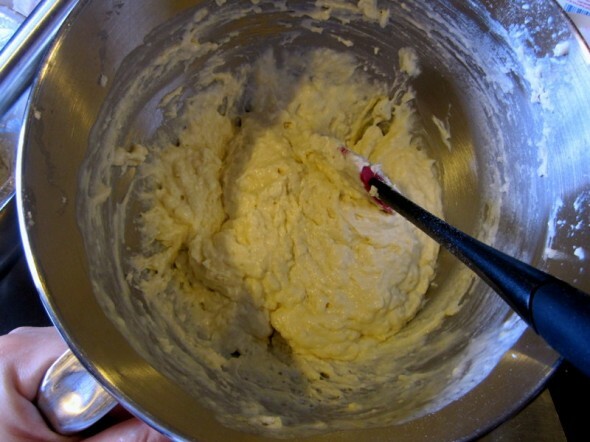 7/19/13: I made this batter for my family this weekend at our first annual camping trip and it was a HUGE hit. I’ve never made pancakes from scratch before and this was so easy to do. I will NEVER go back to boxed pancakes again. Why will it only keep for a short while? Can I seal it and keep in for years? Hi! I just go by the keep date recommended in the original recipe. Like any bag of flour or any pantry item, there’s always a “good by” date, and here I assume they based it on how long the dry ingredients would stay active together. You can try to keep it longer and see if it’s good, but I think the original recipe writer only put in a keep date they were comfortable with. It’s fantastic! So is his waffle recipe, that’s my husband’s specialty.